Veneers are porcelain facings which are bonded to your teeth. They are beautiful, natural looking and stain resistant. Veneers are conservative dentistry that can make dramatic changes in your smile – in a matter of weeks. Porcelain veneers are most often used to close gaps, change color or even straighten teeth. and the right texture to fit you. Their practice and team have been built around expertise, with an atmosphere that provides a more comfortable experience. The artistry and precision of the lab creating the porcelain restorations is also vital for amazing results. Well planned and organized teamwork between Dr. Savardi, Dr. DeLopez and the lab technician truly produce world class restorations. It’s this level of experience, communication and shared vision that really make a difference for our patients. 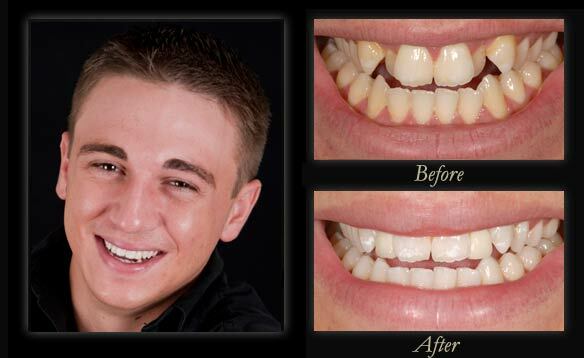 Here and in our before-and-after Smile Gallery, you can see some of the dramatic changes that Dr. DeLopez has made for patients in our practice. Dr. DeLopez has also published numerous articles in national and international dental journals on esthetic restorations. He has instructed dentists around the world and is honored to know that he has helped improve the treatment for many patients, including some he will never see personally.